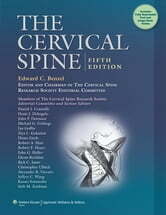 The Cervical Spine is the most comprehensive, current, and authoritative reference on the cervical spine. 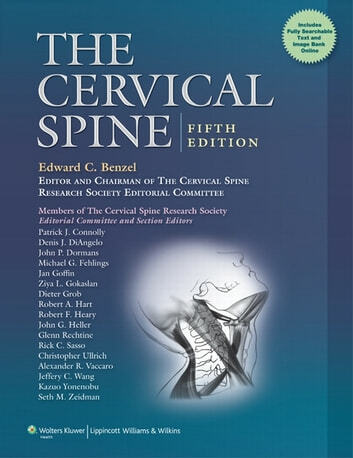 Prepared by internationally recognized members of The Cervical Spine Research Society Editorial Committee, the Fifth Edition presents new information, new technologies, and advances in clinical decision making. The text provides state-of-the-art coverage of basic and clinical research, diagnostic methods, and medical and surgical treatments, bringing together the latest thinking of the foremost orthopaedic surgeons, neurosurgeons, neurologists, rheumatologists, radiologists, anatomists, and bioengineers. Chapters cover anatomy, physiology, biomechanics, neurologic and functional evaluation, and radiographic evaluation and address the full range of pediatric problems, fractures, spinal cord injuries, tumors, infections, inflammatory conditions, degenerative disorders, and complications. Accompanying the text is a website with the fully searchable text plus a color image bank.